Roster shuffles have created changes for The Gaming Resorts LAN scheduled to be held in Portorož, Slovenia, between September 10-12. The finalized new lineup includes Team Secret, Virtus.Pro, Ninjas in Pyjamas, compLexity Gaming, Monkey Freedom Fighters, Arcade.PowerRangers and Golden Boys. There is only one more spot left available for a team to compete for the $50,000 prize pool. The post-TI5 shuffle has brought about many changes for team rosters and organizations. One of the unfortunate results includes various team withdrawals from The Gaming Resorts LAN, Gaming Paradise. The organization has announced today the changes that have been confirmed. After a long delay caused by the post-TI madness, we’ve finally nearly finalized the lineup for our Dota 2 tournament! Although Empire, Alliance, 4 Clovers and 4 Anchors have had to withdraw for various reasons, we’ve managed to get a great lineup. Na’Vi were among the first teams to accept an invite to the Gaming Resorts tournament, scheduled to take place between September 10 and 12. However, not long ago, the Ukrainian organization has notified the Gaming Resorts organizers of their withdrawalfrom the tournament. Na’Vi have been replaced by Virtus.Pro. Team Empire were also among the first three teams to be invited. However, they bid farewell to two players August 25th – Maxim “yoky” Kim and Andrey“ALWAYSWANNAFLY” Bondarenko – and welcomed Ivan “ubah” Kapustin to the team. They decided to drop out of the Gaming Paradise tournament. Alliance was the fourth team to confirm the participation, in mid July. They have now decided to withdraw from the LAN organized by The Gaming Resorts, after having revealed their new roster to include Johan “Mynuts” Andersson and Gustav“s4″ Magnusson, on August 27th. According to The Gaming Resorts, both 4 Clovers & Lepricon and 4 Anchors and Sea Captain had also just recently accepted the invitation to the event. However, 4CL lost their invite to the event due to their recent roster changes that left only Jerry “EGM” Lundkvist and Alaan “SexyBamboe” Faraj on the team. Team Secret – the new roster was revealed August 22 to include Clement “Puppey” Ivanov, Jacky “Eternal Envy”Mao, Rasmus “MiSeRy” Filipsen, Omar “w33haa″ Aliwi and Johan “pieliedie” Åström. The team is the first to receive a direct invite to ESL One New York, as well. Virtus.pro – The CIS team will not be undergoing any roster changes and have accepted to replace Na’Vi at the Gaming Paradise. Ninjas in Pyjamas – The Swedish roster has not announced any changes to their roster, despite not qualifying for TI5 and maintaining a low profile in the last two months. compLexity Gaming – The North American team is currently undergoing significant roster changes, as David“MoonMeander” Tan and Tal “Fly” Aizik have parted ways with the team to join (monkey)Business with Johan“BigDaddy” Sundstein. Monkey Freedom Fighters – The mix of players is comprised of WehSing “SingSing” Yuen, Titouan “PARIS” Merloz, Ionuț “Ar1sE” Turtoi, Sébastien “7ckingMad” Debs and Yazied “Yapzor” Jaradat. The team has also been invited to participate in the ESL One New York European Main Qualifiers starting August 31st. Arcade.PowerRangers – Power Rangers were picked up by the organization Arcade on July 31st and Danil “Bignum”Shehovtsov has replaced Ivan “Gorec” Kartankov, who has gone inactive due to health reasons. Golden Boys – The Greek squad is the recently departed London Conspiracy roster, with new member Verros “Maybe Next Time” Apostolos. They qualified to participate in the ESL One New York European Main Qualifiers. 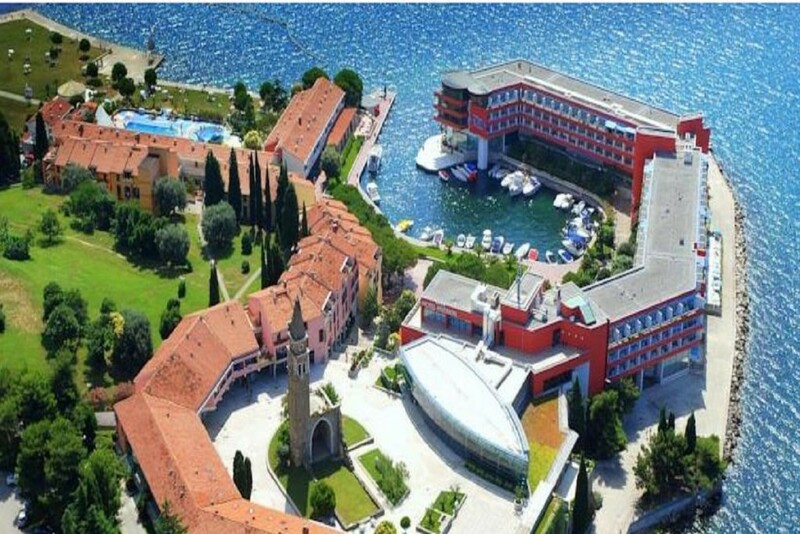 According to The Gaming Resorts official website, the event is scheduled to take place between September 6-13, in Portorož, Slovenia, and will include two main tournaments (Dota 2 and CS:GO) and several smaller ones (League of Legends, Pro Evolution Soccer 2015 a Fighting game TBA, Sid Meier’s Civilization V, and Hearthstone) occurring simultaneously. The Dota 2 tournament will run for three days, between September 10-12. The festival will feature onsite music venues, guest and player lodging facilities, a VIP section, restaurants, and expo centers. The beautiful seaside setting boasts sunny beaches, relaxing spas, charming beach-side restaurants and cafés, exciting nightclubs and casinos and amazing sights. Tickets for the Dota 2 event are on sale until September 6th and range from $30-$195.